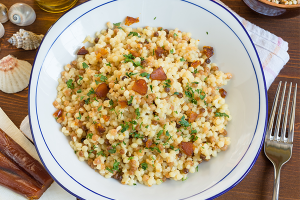 Often likened to cous cous by those discovering it for the first time, fregola is another typical, traditional Sardinian dry pasta dish. The artisanal tradition and production processes are fundamental, but it is our duty to source the best certified raw materials that are rich in vitamins and minerals. 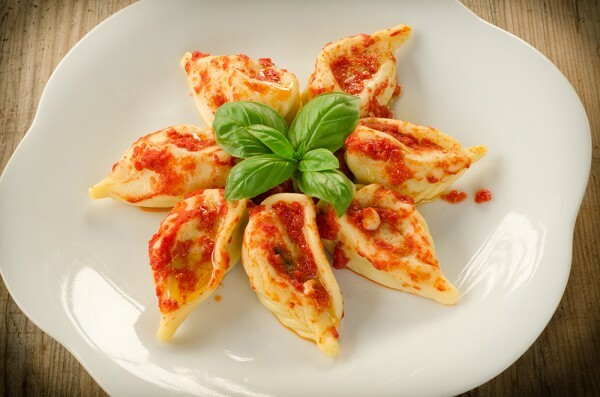 That is why we decided to produce our fregola range with a special Khorasan wheat flour, to enable customers to taste this Sardinian speciality whilst enjoying the benefits of one of the healthiest flours on the market, 100% organic Khorasan wheat flour. It is a high-quality organic grain which has significantly superior nutritional properties to wheat. It has a high protein value and a higher content of minerals such as calcium, iron, magnesium, phosphorous, zinc, sodium and potassium. SHELF LIFE: Dry fregola can be stored for 36 months in a cool, dry place.